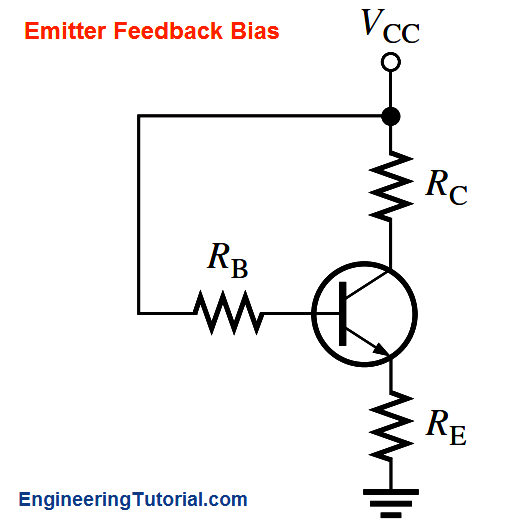 If an emitter resistor is added to the base-bias circuit, the result is emitter-feedback bias, as shown in Figure. The idea is to help make base bias more predictable with negative feedback, which negates any attempted change in collector current with an opposing change in base voltage. If the collector current tries to increase, the emitter voltage increases, causing an increase in base voltage because VB = VE + VBE. This increase in base voltage reduces the voltage across RB, thus reducing the base current and keeping the collector current from increasing. 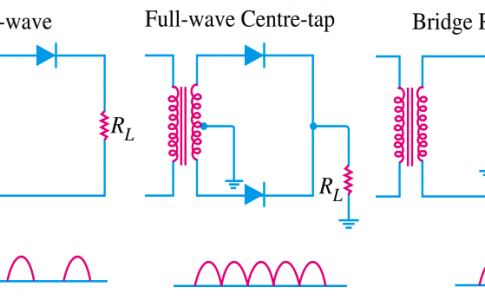 A similar action occurs if the collector current tries to decrease. 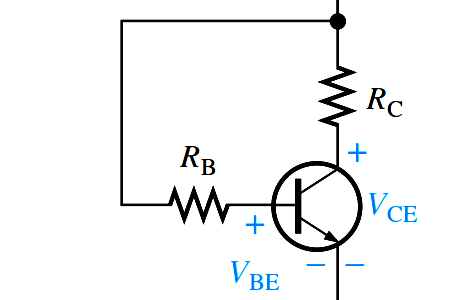 While this is better for linear circuits than base bias, it is still dependent on βDC and is not as predictable as voltage-divider bias. 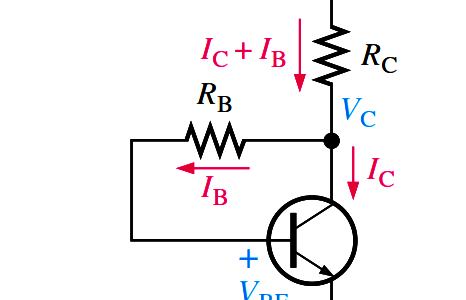 To calculate IE, you can write Kirchhoff’s voltage law (KVL) around the base circuit.